Tuesday, Dec. 9, 8:00 p.m. Location: JCC, 4126 Executive Drive, La Jolla. Theatre. Idan Raichel is an Israeli singer-songwriter and a musician, known for his Idan Raichel Project, distinctive for its fusion of electronics, traditional Hebrew texts, Arab and Ethiopian music. Don’t miss him in San Diego! 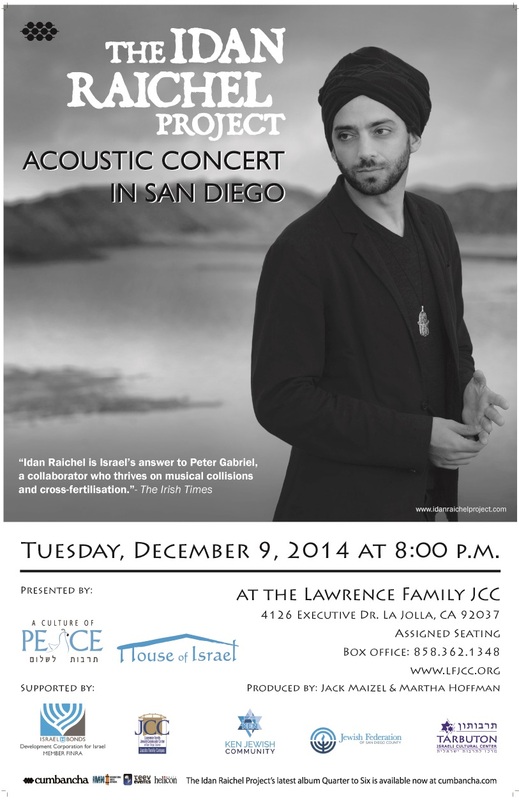 Thank you to local organizations House of Israel and a Culture of Peace for bringing him in!